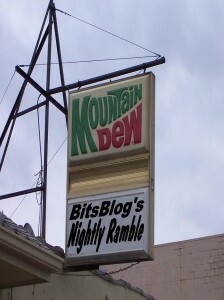 Nightly Ramble: When Black Friday Comes…. This is the time of year when I spend time reconsidering actually WRITING my cookbook, called “365 Uses for a Used Thanksgiving Turkey”. I’ve never gotten around to writing it. Not that I don’t have a fair amount of recepies at my disposal. And of couse I have lots of leftovers to experiment with. I said a while ago Paul Krugman was and is naught but a political hack. When he gets out among people who know this, he doesn’t fare so well. So, Krugman, this morning is turning an admission that the great Paul Krugman, liberal economist extrodinaire, didn’t see the current crisis coming into (Wait for it…) a call for additional regulation. On it’s face, added regulation is exactly the wrong move, and so should shock nobody that you encourage us to follow that besotted route. Seems to me, Krugman, your advice is already worse than useless. On what basis are we supposed to accept it NOW? STFU. The battle still rages on in India. Looks like the attackers were trained outside India. India thinks Pakistan. Of course there’s the idea that even the Pakastani government wouldn’t be stupid enough to officially attack India. But here again, we’re dealing with the tribal areas that’s been ostensibly outside the control of Islamibad, and the idea that it’s afatal mistake to think loyalties to one nation or another will trump those to a 14th century-seeking band of Islamic crazy. They’ve basically been allowed to operate unchecked for some time now, with the notable exception of the attacks we’ve managed to get in on them when Islamibad wasn’t looking. I’ll gurantee you that once the US transition takes place those attacks will cease… and so they WILL in fact be operatiung unchecked. The bottom line, gang, is that we’re going to be seeing this around the world, no matter who is in the White House. Take this incident in Mumbai as indication that the American voter has seriously screwed up. I’m telling you right now; Obama won’t deal with it correctly… and it’s going to get worse… far worse, over the next four years. Headline this morning in the NY Daily News, reporting a death at a Wal-Mart stampede. The TV has a different angle… they’re saying the guy had a heart attack. Course, I’m hearing there were a couple arrests. As I’ve told you in previous years, I tend to steer clear of the stores on black Friday. As the last election showed us… when people are encourged to be stupid, they tend to over-acheive. By the way… The sales figures are about on par with last year. What slump? OK, it’s not as big a hike as the last few years. And? People have wised up to ‘Global Warming’. They know it’s a fraud. The Democrats are going to be wishing Dodd had. And Rangel. Pelosi, particularly. 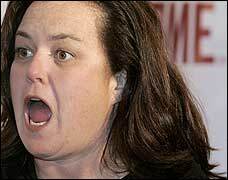 So, who was stupid enough to think a liberal hack Rosie O’Donnel would make a good TV show, particularly given her spectacular failures in the past? Even the NY Times marvels that the attempt was even made. Hang it up, Rosie, dear. Your mouth has made you damaged goods. My advice: Crawl away. Quickly. By the way… if you were get to visit the area of Erie, PA, check out Mazza Vinyards. I had the chance to pick up a couple bottles on our camping run over Columbus day to Lake Erie State Park. Very worthwhile. Good wine, too. They’ve got a new installation over at Mayville NY, too, along Lake Chautauqua. No, I didn’t get anything for the mention. Popular Mechanics has some advice about buying a digital SLR. (Nod to Glenn) I’ve got an A95 Sureshot. Works pretty well. Works as a point and shoot but also can be added to with adapators. What’s REALLY nice at this stage is there’s a lot of that kind of thing on Ebay, along with all the accessories. Boortz, the other day mentioned something I”d intended to reference in a seperate post… may as well mention it here. If you value the constitution, you’d better read this. The election of Barack Obama as POTUS removes every excuse any minority has that “the man” is putting them down, holding them back, that the deck is stacked against them… because very shortly “the man” will be black. And he got to be “the man” under capitalism and what’s left of a free-enterprise system. That’s something about which everyone can feel good. Only one problem, Russ.. it’s easier to simply claim that Obama really isn’t black. You watch; it’ll happen. Don’t expect the Rockefeller Republicans to give in to the idea of Steele being RNC chair easily. My advice: Sit back, today.